Governance of the Farming Together program included 2 tiers of oversight for the operations team. The Project Steering Committee comprised government representatives who oversaw the terms of reference between Southern Cross University and the Commonwealth Department of Agriculture and Water Resources. The Industry Advisory Group helped to maximise input from tested and grassroots connected stakeholders. 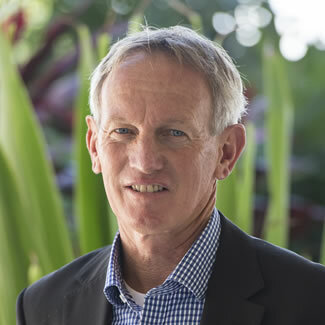 With 20 years experience as a Director of Northern NSW based dairy co-operative Norco and having served the membership as Chairman for some 16 years to date, Greg has extensive experience in the co-operative sector. Greg has always espoused the benefits of the co-operative model and after many years of hard work within the dairy industry in promoting the model to retailers and consumers, it is gratifying that there is now a tangible resurgence in the value that co-operatives p[lay in our business landscape./ This has also been demonstrated through the collaborative work undertaken by the Cooperatives Alliance, of which Norco is a founding member. In partnership with his wife Sue and son Todd, Greg owns and operates a dairy farm just outside of Lismore and has extensive experience across the agricultural sector, including dairy, beef, pigs, horticulture and animal genetics. 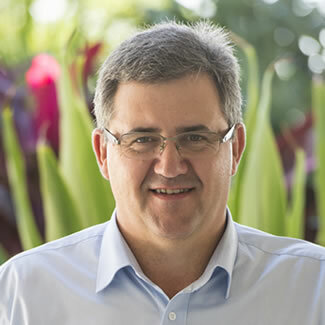 Greg has recently accepted the appointment of Chairperson of the Industry Advisory Group within Farm Co-operatives and Collaboration Pilot Program and is also a Board Director of the New South Wales Business Chamber. 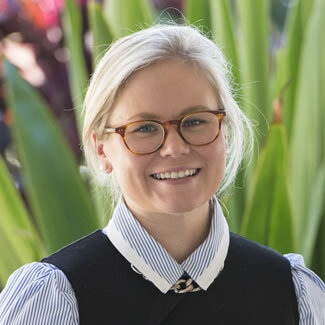 Airlie Trescowthick, Managing Director of The Farm Table, is a sheep and beef producer from Holbrook in the Southern Riverina of NSW. Airlie recently returned from Canada with a Masters in Food and Resource Economics. In 2014, Airlie worked with Food Tank , an online food and agricultural think tank based in the United States, writing for a large audience (100,000 subscribers each week) on issues pertinent to family farmers, including livestock production, crop management, mental health, drought assistance and policy, and the importance of engaging youth in agriculture. As a young Australian agribusiness professional, Airlie wants to contribute to an industry that she is so proud of. 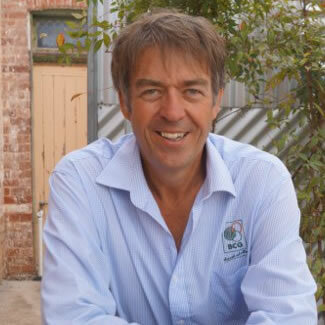 John is a Nuffield Scholar, a founding partner of Collaborative Farming Australia (now trading as Collaborative Ag), and a partner in a successful ha collaborative farm, Bulla Burra, in the Northern Mallee region of SA. 2016 is the eighth season of Bulla Burra’s operations, cropping 11,000 ha to cereals and legumes in a model focussed on not only on efficiency and economics, but also passion, relationships, professionalism and promoting a positive image for their industry. In his role with Collaborative Ag, John has worked with many farmers, consultants and business groups, including the creation of several collaborative farms in the cropping, livestock and wine grape industries. Shenal is CEO of NT Farmers, the peak industry body representing all plant industries in the Northern Territory. 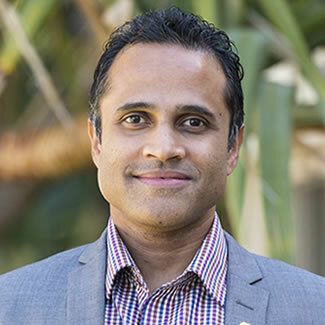 Shenal has wide ranging experience within Northern Australia having spent time in Darwin, Cairns and Townsville in numerous senior executive roles in the public and private sector dealing with economic development and supply chains. Shenal possess a number of qualifications ranging from climate change to marine operations. He currently sits on a number of advisory councils and Boards; the Northern Territory Work Health and Safety Ministerial Advisory Council, the Northern Territory Department of Correctional Services Industry Advisory Council, the UN Association of Australia – NT Division, amongst others. He has a passion for developing young leaders and is particularly proud to have established and been founding Chairman of Young Shipping Australia. Chris Sounness has spent twenty years at the development and extension end of getting innovation and research on farm. He grew up on a family farm in WA. Since 1992 he has worked in the Wimmera Mallee of Victoria working with farmers and their advisers to increase uptake of agricultural research particularly through building farmers knowledge and skills in agronomy and seasonal climate risk. Chris’s communication is around the principal – family farm is business; in season decision making is about cash flow management, land purchasing is about capital management, the family component of the farm is time management and shared expectations. Digital agriculture, the data it creates and the utilisation in decision making both on farm and along the supply chain will allow exciting changes. What they are and how disruptive they will be is in our hands. 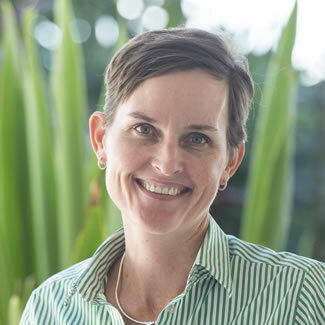 Dalene Wray is the General Manager of OBE Organic, a well-established Queensland company specialising in organic beef. She is also a mother of 3 young children, fuelled by organic food! OBE Organic is an Australian organic beef pioneer. In her decade with the company, Dalene has contributed to developing opportunities for organic beef production in the remarkable Channel Country, for export to markets around the world. Dalene spent over 5 years based in Hong Kong, to 2015. Dalene is passionate about supporting gender and ethnic diversity in business and believes that it significantly contributes to positive outcomes. Melina was appointed the inaugural CEO of the Business Council of Co-operatives and Mutuals (BCCM) in July 2013. 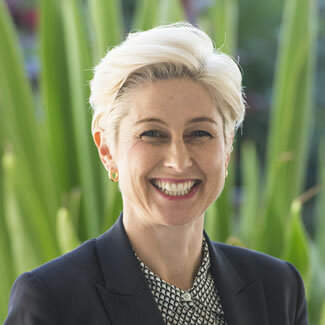 From 2010-2013, Melina headed Australia’s International Year of Co-operative’s Steering Committee and Secretariat that oversaw the national campaign to raise awareness of the contribution of co-operative businesses in the Australian economy. For the last ten years, Melina has headed media campaigns for peak co-operative bodies including the International Co-operative Alliance (ICA). Melina helped develop the message platform for the ICA’s Blueprint for a Co-operative Decade and the global digital case study platform, stories.coop. 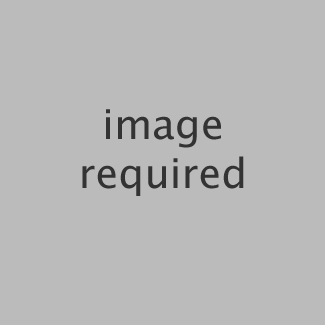 Melina was also editor of the ICA’s Digest from 2006-2011. Melina is a regular guest speaker at national and international conferences, speaking about the important role the co-operative and mutual sector plays in ensuring a level playing field for consumers, and how the business model can assist business owners, primary producers, governments and other entities achieve their goals. Melina also works extensively with various government departments developing policy and programmes around the co-operative and mutual sector, and consults on co-operative development projects. Scott joined the NFF in 2016 as the General Manager, Trade and Economics and brings a wide range of experience in economic policy and analysis from both public and private sector roles. Scott’s career started at the Department of Employment as a macroeconomist. He then went to the Australian Parliamentary Library as a senior researcher, covering issues such as macroeconomic policy and productivity. Scott also has a strong background in advocacy from his time at the Australian Chamber of Commerce and Industry, where he was the lead author on the pre-Budget submission and key submissions around taxation, infrastructure financing and competition policy. He also ran the Chamber’s business survey program. Immediately prior to joining the NFF, Scott was a macroeconomic forecaster at Deloitte Access Economics. At the NFF, Scott is charged with driving the Trade and Competitiveness policy agendas. A robust management administration and governance structure has been established. The governance tier will ensure transparent and accountable decision-making, whilst maximising the use of existing known, tested and grassroots connected industry stakeholders.